There is no question that used car donation is beneficial in many different ways. Not only does it get you a great tax deduction at tax time, but when you donate a car to charity, you are also recycling your car, which makes it a smart and eco-friendly option! It’s easy and resourceful to donate a car to Wheels For Wishes, benefiting Make-A-Wish. We try to get the most out of every vehicle before recycling it, but if the vehicle can’t be auctioned off for a new family to drive, all of its parts will be reused—even the bumper, doors, engine, and transmission. When a car is recycled, no part goes to waste and every single piece of the car is put to use. Donating a car makes for a better world, and when you donate your old car, you can personally get involved in making the world a cleaner place. Used car donation is beneficial to you, the earth, and a local child. When you donate a car to charity, you are turning your old car into a wish for a local child. Car donation is the ultimate green gift, because it improves lives of children, creates jobs, and makes for a better world all together. Most importantly, it grants the wish of a child. 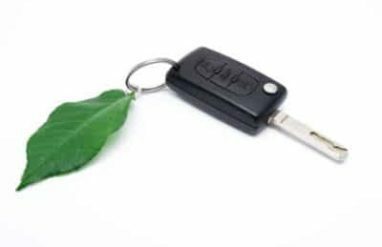 The ultimate green gift you can give is the gift of car donation to charity. Your old car could help to send a child on a trip to their dream location. How green is that? Your old car can turn into a set of airplane tickets for a child to visit the destination of their dreams! Your old car can give a child the opportunity to meet their favorite athlete or even the president of the United States! The possibilities are endless, and it is truly the best way you can put your old vehicle to use. The ultimate green gift is a gift that can be used again and again and serves multiple purposes. Besides car donation, there are plenty of other ways you can give green this holiday season. There’s many ways to go green, but car donation tops our list. Used vehicles are the ultimate green gift because they can always be put to use when you no longer want it. Every part of the car can be reused and it can go toward granting a wish for a local child. Give the ultimate green gift this holiday season and see your old car do so much more than you ever thought possible! In the end, the ultimate green gift is car donation. To learn how to give the ultimate green gift this year, read our 2012 Donate Car To Charity Guide. When you make your donation online before 12 A.M, local time on January 1st, your donation will count for the same year, and you will still receive a great tax deduction!